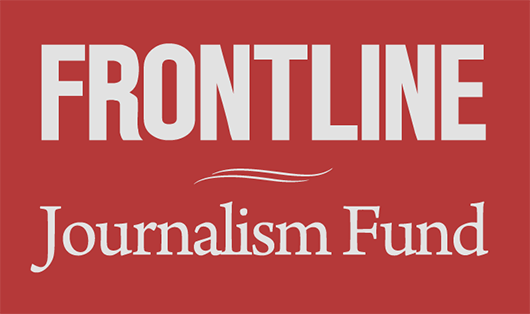 As part of our recent film Inside Japan’s Nuclear Meltdown, FRONTLINE interviewed several workers who were at the Fukushima Daiichi nuclear power plant when the earthquake and tsunami hit last March. Because TEPCO, the company that runs the plant, has forbidden its workers to speak publicly about the subsequent nuclear meltdown, some requested anonymity for fear of being fired. This is the disaster in their own words, translated and curated from their interviews. Why did I choose to work in that power plant? … The answer is easy: Because I had been so familiar with that power plant since I was a child. … And also, there were many people who were working for the company around me. So, it was very natural for me to choose to work there. On March 11, 2011, a powerful earthquake hit the northeast coast of Japan. It registered a 9.0 on the Richter scale, making it Japan’s worst earthquake in recorded history. Workers tell of the scene at Fukushima Daiichi nuclear power plant. In the previous week or two, we had had some big earthquakes regularly, so we were joking that one enormous earthquake might occur. And that joke turned out to be real. The ground swayed greatly from side to side, and soon after, it started shaking laterally and vertically before we realized what was actually happening. It was a huge sway, which I had never imagined, and continued for a long time. I realized that we were in the serious situation and thought that hundreds of people might have killed by this. I also thought of the risk of tsunami and building collapse. I somehow stood up thinking that I would be able to survive if the building did not collapse. The central control room is the safest place to be — that was in my head. It was an incredible earthquake, but I did not think at all about the nuclear reactor breaking. There were people who were hiding underneath their desks; some were holding down their computers; some were holding down large monitors. As the earthquake continued for a long time and kept getting gradually stronger, I too started thinking that this wasn’t your normal earthquake. When the earthquake happened, I wasn’t worried about the condition of the plant. I’ve been working in nuclear energy for a long time, so I felt that the safest place to be was inside of the plant, and in fact, felt that the safest place to evacuate to in the case of an incident was into the plant itself. I didn’t think that the plant would in some way be damaged. A tsunami hit a few hours after the earthquake. The biggest of its waves measured as high as 40 feet, much taller than the 17 feet the plant was designed to withstand. When the tsunami actually hit, I was in front of the earthquake-resistant building putting together temporary toilets. … After we finished assembling the toilets, after we evacuated inside the earthquake-resistant building. Those at the headquarters had no doubt been hearing detailed information. Those people were no doubt consumed by panic. But those such as myself, who weren’t inside of the emergency headquarters room, those of us who were in surrounding rooms, in the hallways, I think that we were all fairly calm. Because cell phones weren’t working, the office women, and myself as well, along with other co-workers, we were unable to contact our homes, make contact with the outside world, so that is what we were most worried about. 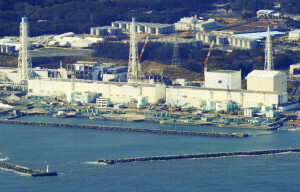 At that time, we could not imagine that the tsunami would sweep away heavy oil tanks, equipment and pumps to cool down the nuclear reactors; that it would flow down to the basement of the building and submerge the diesel generator which was equipped for the emergency backup; and that it would get all types of the power sources and the pumps damaged. Something beyond our scope of our assumptions occurred. The moment I saw that the fuel oil tank being taken away, I thought it was bad. If that disappears, then the emergency fuel will be gone. That’s what I thought. … But I had the presumption that nuclear power would never be destroyed, so I thought that even if that is gone, there must be back-up everywhere. Multiple sources of power were lost at the plant, which meant that key systems – including those used for cooling and monitoring spent fuel – malfunctioned. We never thought that the spent fuel pool would get such serious damage, as it was built taking into account the possible occurrence of an earthquake. On top of that, a great amount of water was in it, so we never imagined it would be empty. When I was told that I needed to offer the battery from my own car, I thought that the situation was dire, and I thought that no matter how many batteries we were able to collect, it might not be enough. But I thought that they would just request a mobile electric generator from headquarters, so I wasn’t particularly panicked. In order to restore the measuring instruments, they brought in car batteries and connected them directly to the measuring instruments and revived them. And so the monitoring functions were secured, to an extent. Seawater is used to cool the reactors — but when you use seawater, you render the plant inoperable in the future. There was an order from the official residence to stop pumping seawater. … Then in a later counterargument, Mr. Masao Yoshida … said “Don’t be stupid. Ignore, ignore. Leave it.” And we kept pumping in seawater. We know that it will corrode the quality of the material. … But cooling down is the most important. Later that day, reactor 1 exploded. I did not think at that time that the loud noise was an explosion. But there was a very loud sound, which I thought was related to an aftershock. And then immediately after that there were reports by wireless radio from on-site saying that there was smoke rising from reactor 1. After the explosion, we weren’t able to sleep soundly. We might be able to catch a few winks in a hallway, but even if we were sleeping, we were very anxious and really just lying down and unable to relax. Many of us thought of running away. But there was no escape. If you actually ran, you would be exposed to radiation. Staying here, at the earthquake-proof building, of course it’s like a nuclear shelter. It has air conditioning, that can deal with it, air conditioning functions, it has a shielding effect, and of course it’s strong against earthquakes. So it was safe place. The same with the reactor buildings, the same with the central control rooms, so we thought it was safe. So rather then getting out of here, rather getting out now, it was better to stay inside. I think most people thought that. On day four, reactor 3 exploded. When reactor 3 exploded, the noise could not be compared to the noise I heard when reactor 1 exploded. The sound was different… all of the glass windows in the administrative building shattered from the blast of the explosion. The atmosphere in the emergency response room after reactor 3 exploded, even among TEPCO employees, was that we were finished. There were people saying that, even if they were saying it softly. Some were questioning how long we should stay there, saying we needed to flee as quickly as possible. In the early hours of day five, word came that TEPCO planned to withdraw its entire workforce from Fukushima – an event the government and TEPCO disagree on. That morning, at about 5:30 a.m., Mr. Yoshida said, “I have something to discuss, everyone please gather.” There were some people asleep, so everyone woke up, and everyone gathered at the head chair in the earthquake-proof building. Two hundred or so workers had stayed, although they had been asked to go home. For the time being, they went to Fukushima Daini’s gymnasium, which was designated as the evacuation site for the people here. So on that morning of the 15th, we all got into cars together, and using company cars also, 200 or so people evacuated to Daini. Then the now famous “Fukushima 50” were the 57 people who stayed. Fifty-seven people stayed. I did not stay. I evacuated to Fukushima Daini gymnasium. The 57 who remained of course were the head of plant, the deputy head of plant, the unit head of plant, the managers of each department, and each group manager. Honestly, I was relieved when the plant manager said that it was okay for us to leave. I knew what it was like to work in nuclear power, and with the plant in such a condition, I probably shouldn’t have thought that. Seen from the perspective of someone who doesn’t know nuclear power, some might think that is irresponsible, leaving the plant when the situation is so bad. … I’m sure there will be people who say that. It’s probably bad to admit it, but I was relieved. I just wanted to get out. As things stabilized, workers were slowly called back to Fukushima. In theory working non-stop for eight hours is unthinkable, but it was an emergency operation and we were in a hurry, so no one complained, we all understood. Even if it wasn’t allowed, we kept going. Almost two weeks after the earthquake and tsunami, a worker headed back to the plant for the first time after the meltdown. On [March 23], I got dressed and had breakfast while I was waiting for being picked up. Then I left the evacuation center. People came out to see me. They might have somehow realized that I was going to go back to the plant. They came out and looked at my face. Inside the earthquake-proof building, something I would never be able to forget happened. When I went to the toilet, there were a couple of people, probably workers of TEPCO, and I was chatting with them while we were doing our duties standing side by side. I remember one of them said to the other, “We will have cancer after 10 years, won’t we?” Nobody answered him. There were more people there apart from us, but none of them said anything. Then we started working around the power plant. I cannot forget. We got to near the building with the reactor inside. There was a scene which I had seen on TV and in newspapers in front of me. The sight that I had never imagined was in front of me. The building that I believed that it would never cause any explosion or meltdown, was left just with its framework and there was rubble around it. … This is the sight what I saw at that time. I was horrified, to be honest. Then we wore the masks, which we hardly wore before in the reactor building except the time when the building was extremely polluted, white Tyvek suits, rubber gloves and long boots and worked. I had never imagined we would work like this outside the building. Everything I saw was so unusual and something I had never imagined. We try to keep our calm. We could not work without remaining calm. Because we knew that we would get injured if we got panicked. If we were panicked, we wouldn’t be able to grab the actual situations and somebody would get injured at some point. So we tried to remain calm. I think that I am going to die from cancer or leukemia in the future because of working in the power plant. At least, I do not expect that I am going to die of natural causes without being influenced by working there. I have been thinking that I would definitely die influenced by something caused by working in the plant. I have no idea if it happens 50 years, 30 years or 10 years later. I might get married or have children in the future, but it may be difficult. Because after the atomic bombs was dropped in Hiroshima and Nagasaki, there was discrimination against the victims of the nuclear bombing. There were many people at that time who do not wish to marry or have children with those who had been influenced by radiant ray. Such things could happen in Fukushima as well. For additional accounts, read our interviews with Akio Komori, the managing director of TEPCO’s nuclear division, and Naoto Kan, Japan’s prime minister during the disaster.